Is your exterior paint worn out after years of hot Texas summers, storms, or wind damage? Are you looking for an experienced painting company in San Antonio to transform the interior of your home, making it look as good as new? The experienced team of painting contractors in San Antonio from Texas Quality Drywall & Painting can help! Nothing changes the look of your home faster, or more effectively, than a fresh coat of paint. 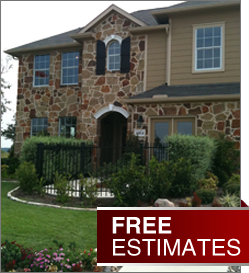 Our painting company in San Antonio is proud to use innovative, high-quality products. Talk to one of our experienced painting contractors in San Antonio today to learn more about the best painting products for your needs. At Texas Quality Drywall & Painting, we've been helping Texas homeowners update their homes with paint, wallpaper, and other remodeling services for many years. We remain committed to providing our customers with the high-quality painting they deserve at a price they can afford. We have served many customers in San Antonio, Stone Oak, Kerrville, Bandera, Helotes, New Braunfels, Bulverde, Spring Branch, and Boerne, TX. Are you looking for a reputable interior or exterior painting service in San Antonio or surrounding areas? Texas Quality Drywall & Painting has been painting residential and commercial properties throughout the San Antonio area for many years. We give strong attention to detail, giving you the high-quality, professional job that you deserve. Plus, we're proud to offer the high-quality services of our painting company in San Antonio at an affordable price. Your time is valuable. Why not hire a professional painter for your next project? When you trust your painting project to Texas Quality Drywall & Painting, you'll enjoy working with a painting company in San Antonio that's been a trusted name in the industry for many years. We are a fully insured and hardworking family-based company of 3rd generation painters. No job is too big or too small for us to handle! For more information about our experienced painting company in San Antonio, TX or to schedule an appointment, contact us today! Be sure to ask us how you can receive 10% off a complete home paint job! 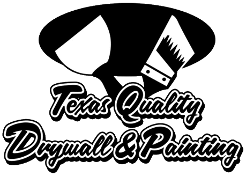 Do you want to find out more about Texas Quality Drywall & Painting, the leading painting company in the San Antonio area? Contact us today! We proudly serve San Antonio, Stone Oak, Kerrville, Bandera, Helotes, New Braunfels, Bulverde, Spring Branch, and Boerne, TX.